Comments: I am a biased reviewer here as this is written by one of my favorite Professors and a good (wise) friend. But, I think this is an important book and one everyone should have on their bookshelves. We all think about and talk about careers. We also talk about folks who are successful and folks who aren’t (or those who have derailed). 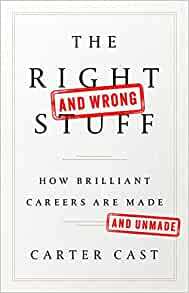 This book brings together a lot of wisdom around what makes and breaks careers and packages it nicely. Brilliant careers derail due to a variety of reasons. But, the biggest among them is a lack of self awareness that blinds a person to their tendency to overdo their strengths. 3 strengths/traits that accompany great careers – initiative, the ability to build positive relationships and a combination of perseverance and drive. The right stuff formula: (Job Skills + Industry Knowledge + Operational ability) x (3 Distinctive strengths/Derailers). This is a nice summary. Start with hard skills, industry knowledge and the ability to get stuff done. These are table stakes. Differentiate based on everything else. 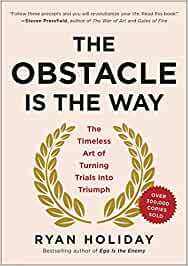 Comments: The Obstacle is the Way is a book that reads almost as a beginner’s guide to stoic philosophy. If someone were to write a book about the poem “If” by Rudyard Kipling, I’d expect this to be that book. A nice, positive read. Perception is how we see and understand what occurs around us—and what we decide those events will mean. Our perceptions can be a source of strength or of great weakness. Comments: This is a really easy and fun read. Bernadette Jiwa makes the case that we all have it in us to be insightful. We just have to learn to notice more. It’s one of those positive books that you could just pick up and read on a Sunday afternoon and walk out feeling optimistic and better. 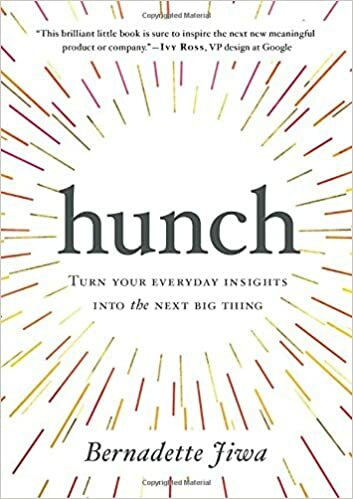 Don’t underestimate the power of the hunch in today’s data driven world. Noticing is the key to finding breakthrough ideas in everyday experiences. Cultivate curiosity, empathy and imagination to be in touch with your hunches. Empathy is feeling with someone. Sympathy is feeling for someone. Comments: Interesting book with lots of anecdotes from various experiments. After a very compelling start, I felt the book lost its way a bit toward the middle. 1. Entrepreneurship is more about de-risking than taking risks. Keep testing the riskiest assumptions with simple experiments (We had interviewed Neil Blumenthal from Warby Parker in business school. This was a repeat of what he shared but powerful nevertheless). 2. 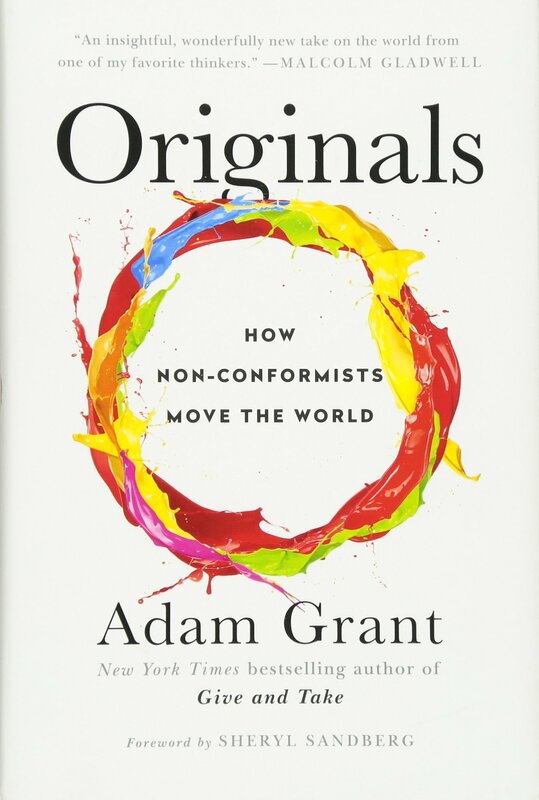 Child prodigies rarely live up to their potential as they rarely learn to be original. Creative kids can often be trouble makers. 3. Vu ja de. So much of creativity is combining old ideas into new combinations. Comments: Solid book. 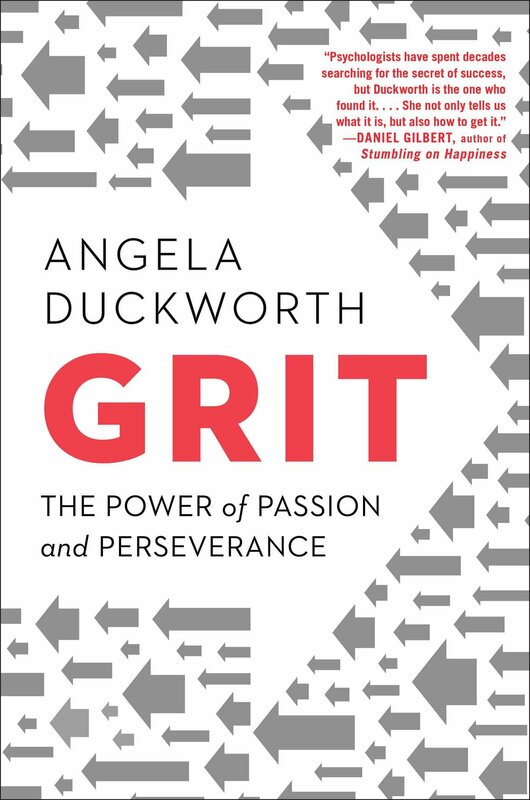 Lots of great stories and a compilation of powerful principles. 1. A combination of many interesting studies and a long research project at Google determined that there is one attribute that all high performing teams share – they all enable psychological safety. 2. In all, it remains an intriguing thought: if you want to build a successful company, you should not seek to attract the biggest rock stars. Instead, a loyal orchestra of employees will perform better – provided there is a dissenting tone every once in a while, to keep everyone focused. Tetsuro Toyoda was visiting NUMMI (a plant in Fremont California that is a joint collaboration between Toyota and GM). He saw Joe, an assembly line worker, struggling to install a taillight. He kept imploring him to pull the Andon cord and stop the assembly line. After many attempts – “Joe, please,” Toyoda said. Then he stepped over, took Joe’s hand in his own and guided it to the andon cord, and together they pulled. A flashing light began spinning. When the chassis reached the end of Joe’s station without the taillight correctly in place, the line stopped moving. Joe was shaking so much, he had to hold his crowbar with both hands. He finally got the taillight positioned and, with a terrified glance at his bosses, reached up and pulled the andon cord, restarting the line. Toyoda faced Joe and bowed. He began speaking in Japanese. Next day, a dozen pulls happened. And in a week, a hundred. It still cost a lot but given the responsibility, employee motivation increased. Most productive GM plan. Absenteeism decreased from 45% to 3% and productivity soared. NUUMI was legendary. Comments: Payoff is a short book that is both simple and powerful. 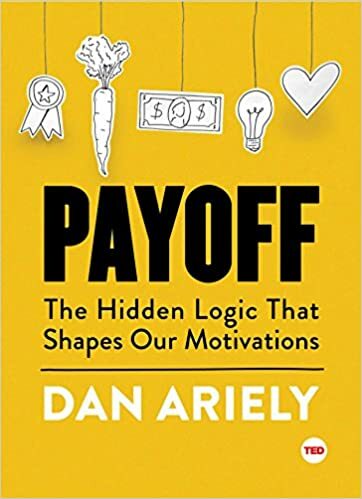 If you love Dan Ariely’s work and/or behavioral economics, you will enjoy this book. 1. We tend to underestimate the power of goodwill in building motivated teams and work environments. If there’s one thing you take away from this book, it is that appreciation and goodwill are more powerful incentives than any financial incentives (assuming people’s pay covers basic needs). 2. Purpose matters over pleasure. Understanding why we do things goes a long way in helping us stay motivated. 3. As humans, we care a great deal about legacy. We’ve had a big fascination for life after death since the time of the pharaohs and that fascination continues today.